I’ve just left the CCP Complex, after Carlos Celdran‘s Livin’ la vida Imelda walking tour. I’ve been meaning to take his tour for the longest time, and it’s only now that I finally decided to go for it. All it took is to NOT plan for it at all. It couldn’t be at a better time, too. 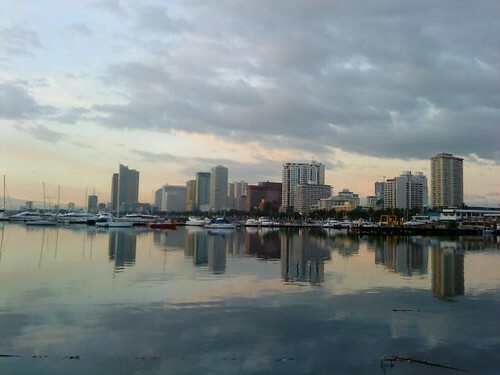 Since I’ve started traveling out of the country again, I’ve been neglecting Manila. While I go off to explore other cities, I’ve forgotten to explore my own turf. I’ll blog about the tour in detail later, but I’ll say this: it was a great start to re-acquainting myself with this lovely city I call home. * This was supposed to be a mobile-blog, but for some reason, the photo only made it to flickr and not this blog. Hmp. You know, I thought you already went on this tour! “Imelda,” huh? Hmmm…an homage to the former first lady? what a coincidence… me and monette went out to drive around manila this morning. been to intramuros and binondo. we should meet us one time… tell us more about the carlos celdran tour. I have taken this tour , FANTASTIC ! Informative and lots of fun . I’ve also taken another tour with Carlos in Intramuros , I can highly recommend it .